The biggest problem we face is that Muhammad and Islam have very little real understanding of Judaism or of Christianity which emerged from it. 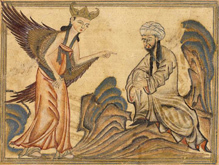 Because Muhammad was wanting in this knowledge he was ill-equipped to meet the deceptions of the angel who appeared to him and he fell easy victim to the angel's very clever deceptions. * If he had had the knowledge, he would have perceived the deceptions which divide us, and he would have immediately suspected the identity claimed by the one who appeared to him. God, the Father, had required of Abraham the sacrifice of his son, Isaac, as precursor to the Self-offering-sacrifice of the Father's own Divine Son on the Cross of Calvary for the redemption of those among all mankind who would look to Him for their salvation. However, when Abraham proved faithful, God stayed his hand and immediately restored his son to him. 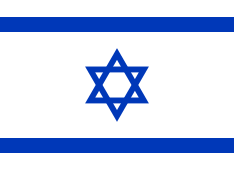 (Genesis 22:1-18) From this son's child Jacob (Israel) issued a son Judah whose tribe, the Jews, became God's Chosen People from whose descendants the Messiah would come. The Messiah is the whole focus, key and essence of God's Plan! (1 John 4:14) All the rest is mere detail as to the method by which God brought about His entry into the world and its history. The Messiah is all! To dismiss Him as being 'no more than an apostle' (Koran 5:75; 19:88) is an error of cataclysmic proportion. It is to render oneself incapable of discerning and knowing God's Plan! At worst, it may bring about one's exclusion from the wonders of salvation and the inexplicable wonder of being numbered among the Children of God.